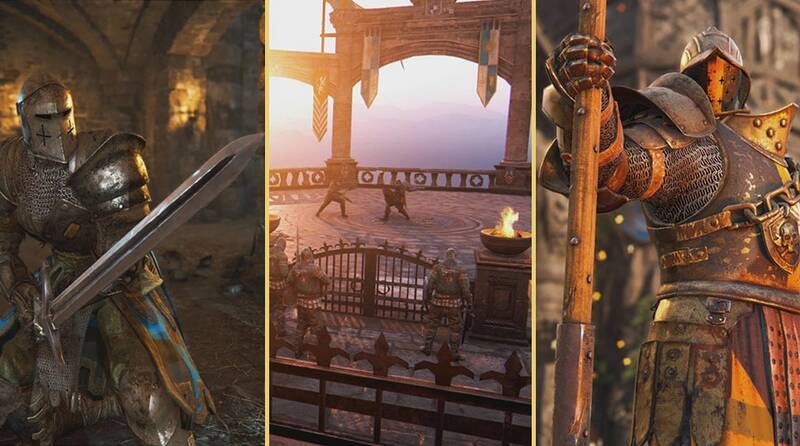 This week, we’ve released patch v2.02.1 with new key changes to For Honor including weekly arcade quest and bug fixes. 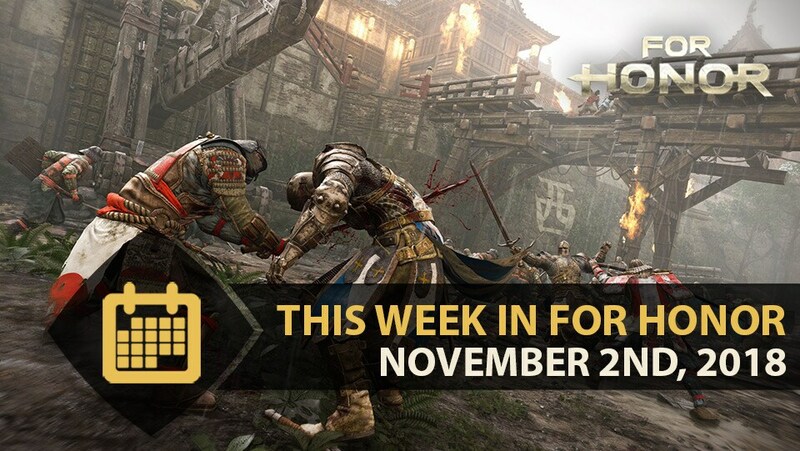 Check the full notes over at http://forhonorgame.com/patchnotes. Be the faction with the most takedowns performed in Endless March from November 1st - November 4th! 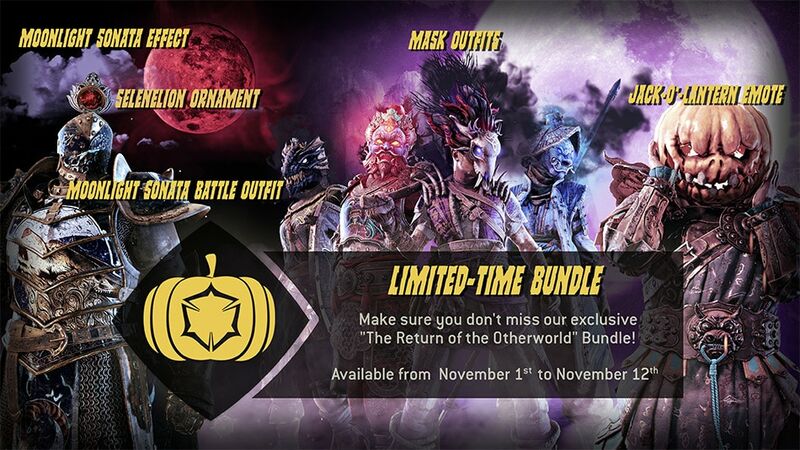 For a limited time, grab our exclusive “The return of the Otherworld” Bundle! Now available from November 1st – November 12th! Grab our brand new Jack-o-Lantern emote through the in-game store for 10K steel. This Return of the Otherworld emote will be available for a limited time between from Nov 1st – Nov 8th. Miss the weekly Warrior’s Den livestream? Check the full recap with the VOD below! Have a comment on this article? Join the conversation over on the official Ubisoft For Honor forums. 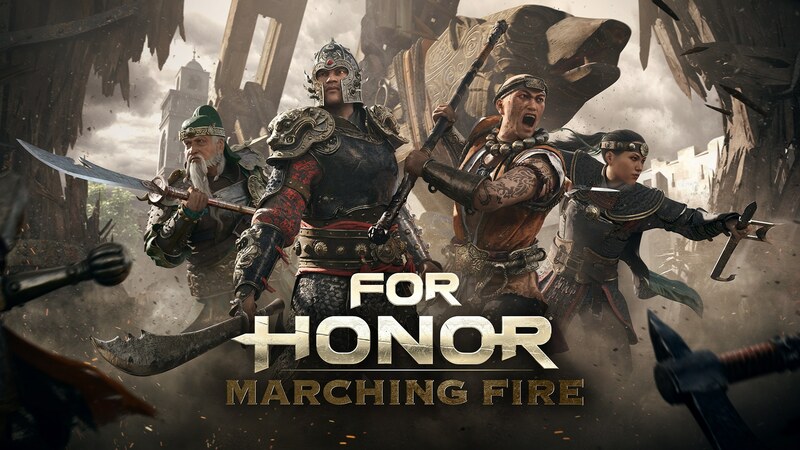 With a new faction, 4 new heroes, a new 4x4 mode, significant visual enhancements and unlimited single player and 2-person co-op PVE mode yet to be revealed, Marching Fire expands the world of For Honor like never before. This includes four new settings to help players learn the game, from basic apprentice skills to advanced warrior techniques. © 2017 Ubisoft Entertainment. All Rights Reserved. For Honor, Ubisoft, and the Ubisoft logo are trademarks of Ubisoft Entertainment in the US and/or other countries. The “PS” Family logo is a registered trademark and “PS4” is a trademark of Sony Computer Entertainment Inc. Software platform logo (TM and ©) EMA 2006.